These days, ten dollars rarely buys anything memorable – maybe a quick meal out, or some new music for your MP3 player? But this summer, Feeding Texas supporters can do a lot more with ten dollars, and get a classic Texas memory to boot! 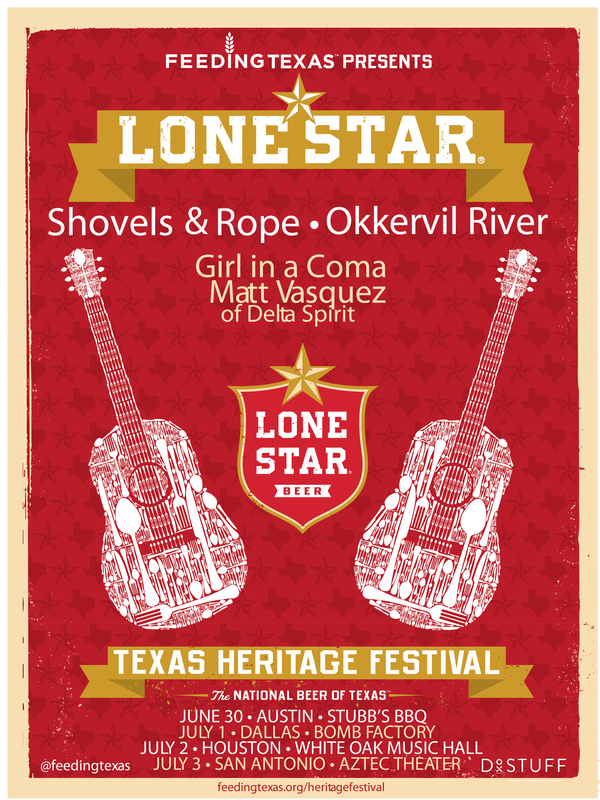 We are proud to announce our new partnership with Lone Star Beer and Transmission Events to be the sole beneficiary of the Lone Star Beer Texas Heritage Festival. If you live in Austin, San Antonio, Houston, or Dallas please join us for this fun event celebrating Texas beer, music and helping your fellow Texans! Ten dollars will get you the opportunity to listen to some great bands, like Shovels & Rope, Okkervil River, Delta Spirit, Matthew Vasquez, and Girl in a Coma. In addition to the music, you’ll eat delicious food, play arcade games and help a great cause! Tickets will go on sale starting Thursday here on our website! Proceeds will benefit Feeding Texas. Follow the celebration of all things Texas on Twitter @LoneStarBeer, @FeedingTexas and with the hashtag #LoneStarBeerFest.